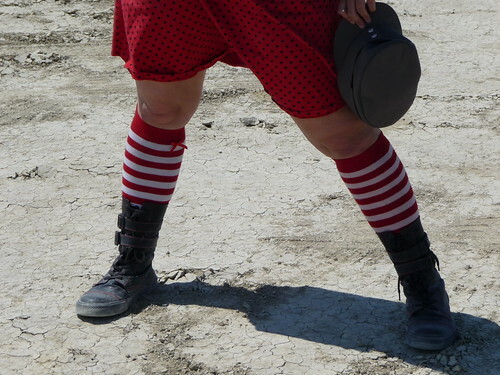 I thought I’d share a few of my style tips and tricks for rocking out in the desert. 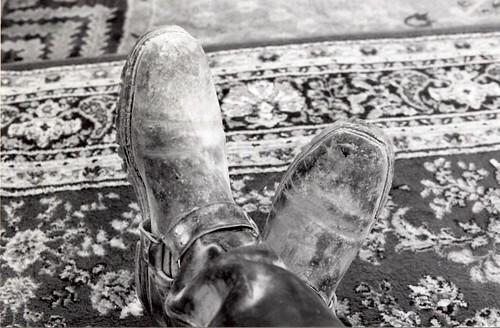 I cannot stress enough that boots are your friend in the desert. Sandy feet are nice at the beach, but in Black Rock…the dust is alkali and enough exposure will give you a chemical burn (see also, playa foot). I also suggest some simple shoes to throw on when you need to get from your tent to somewhere else in a hurry, as boots do take a bit of work to get on unless they’re of the handy zippered variety. Another thing you may want is a hat to keep your face shaded from the brutal sun! Something absurd is best, but remember that function should come first. I got this rad vintage one from Clothes Contact. While we’re talking about hats, let’s talk about hair. 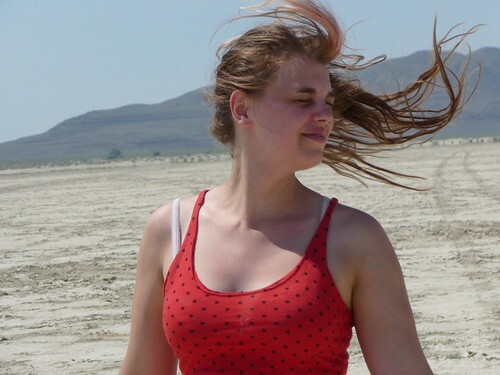 The dust gets into everything, and it especially likes to stick in your hair. If you have hair, like many humans, you will have dreadlocks after about 4 days. If you have fine hair, like me, you will have dreadlocks after about 1 day. To solve this problem, I recommend bringing a bottle of detangler and a wide toothed comb. I have a ritual in the morning, where I spray my whole head and comb it out. 1) It is extra hot in your tent at the start of the day, so spraying your head down is really refreshing. 2 ) There are no showers in the desert. Most detanglers are scented, and they will make your hair smell like civilization! I will say, however, that if you want to get in touch with your inner hippie, this is the place to do it. In the past, I have scoffed at the parasol. For shame! That all changed when I met Fishbrella. When I saw him all lonely in the thrift store, I knew just what to do with him! 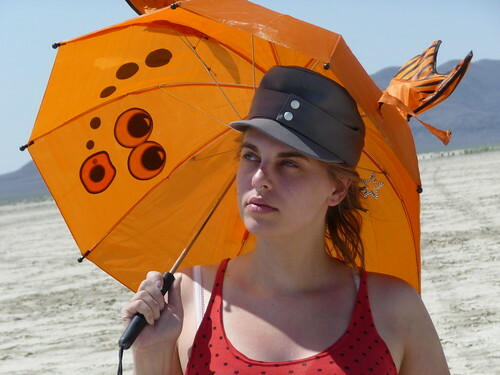 Fishbrella saved me (along with my hat, and his pal, Mr. Sunscreen) from the white hot passion of the desert sun. I would be full of burning if not for him. Thanks, Fishbrella! During the day, one should wear something lightweight and breathable, such as this matching tank top and skirt combo from h&m. Natural fibers are ideal. Anything that might make you sweaty is a bad idea, and should be saved for nighttime wear. This is by no means a comprehensive list of what to bring to the playa, but rather, documentation of how I tackle some of it’s challenges. If you are looking for a list of that nature, look at my friend MaryBee’s guide on the subject. (via Galadarling). Bah. You should just rock the dreads. Clearly. oh man your site looks amazing. it makes my little blog look really crappy. but anyway, you’re at burning man!!! ahh! fishbrella! i had a cousin of his when i as younger!! they are so cute!! i didn’t know you knew that article of mine. And by the way, you look damn cute. I hope i look that cute at burning man this year. gilda– your blog is far from crappy! <3! 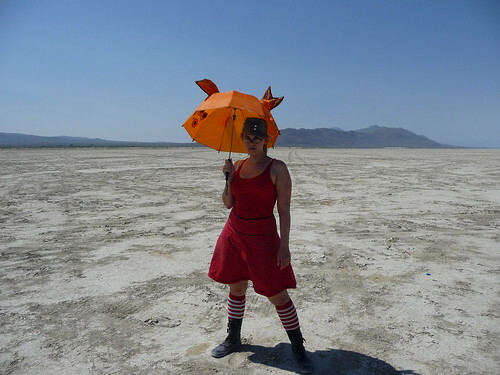 & this is actually 4th of Juplaya, burning man isn't until august. Mary-- your article is awesome. & you will look that cute at burning man. like you usually do all the time! James-- Will do! Where are you camping? Daytime style on the playa: Head to toe.